You are here: Home / Money Savin' / Amazon Love / Hottest Diaper Deals Around This week! Hottest Diaper Deals Around This week! Here is your “Happy” little round up of diaper deals around this week brought to you by The Thrifty Couple. Typically I try to stay around $0.10-$0.12 per diaper as a thrifty shopper. 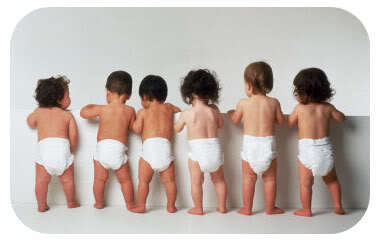 Just divide the price by the number of diapers to get your cost per diaper. If you do not have the Walgreens Infant Care book, each store has had copies behind their cosmetic counters for customers to use in-store. See the rest of the Walgreens deals this week. Huggies Value Box of diapers sale for $29.99. Target also has their brand of value pack diapers for $19.99. This is equivalent to $4.99 each jumbo pack. Pampers Cruisers or Swaddlers Jumbo Packs on sale for 8.97. Amazon.com Deals – often less expensive than Costco AND you can get it shipped right to your door! Huggies Snug and Dry Super Club Packs on sale for $17.68-$22.89 (depending on size) after Amazon Mom’s subscribe and save (normally $41.69). Thank you, thank you, thank you for posting the “jumbo pack” equivalents! I always buy the jumbo packs, and it’s much easier for me to go by that bagged price than by individual diaper price, since it changes so much by size!